Hockey fans this one is for you! 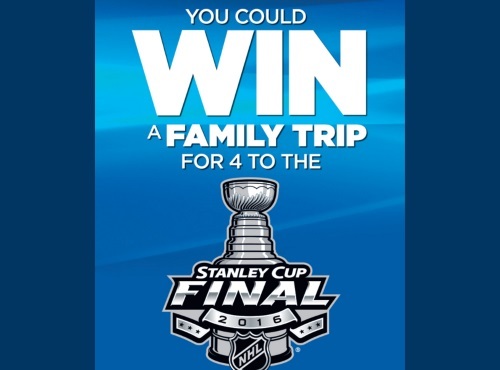 Enter to win a grand prize for 4 to attend the 2016 Stanley Cup Finals hockey game and merchandise spending money and more! To enter just upload a receipt from a participating PepsiCo 12 or 15 pack and participating snack product at the link below. There are also 140 daily prizes to be won of NHL branded toques! Contest ends April 16, 2016. There is a maximum of 4 entries per person.